I am first year PhD student at the University of Lorraine, advised by Prof Miguel Couceiro and Dr Chedy Raïssi. I’m currently employed by INRIA Nancy-Grand Est in the team Orpailleur that is specialized on Knowledge Discovery in Databases (KDD) and in Knowledge Engineering (KE). 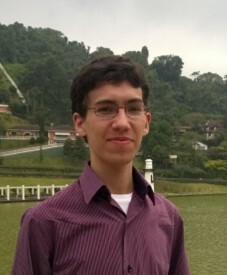 I hold BSc and MSc degrees in Computer Science from the Federal University of Uberlândia (UFU), Brazil, in 2015 and 2017 respectively. In my master’s thesis, I have investigated the employment of semi-supervision information for understanding clusters’ behaviour over time. During the past years, I have also been working on preference mining and recommender systems. [Nov 18] Start the PhD studies. [Jun 18] Selected as PhD student. [Oct 17] Master’s thesis defence. Exploiting social information in pairwise preference recommender system. JIDM, 2016.